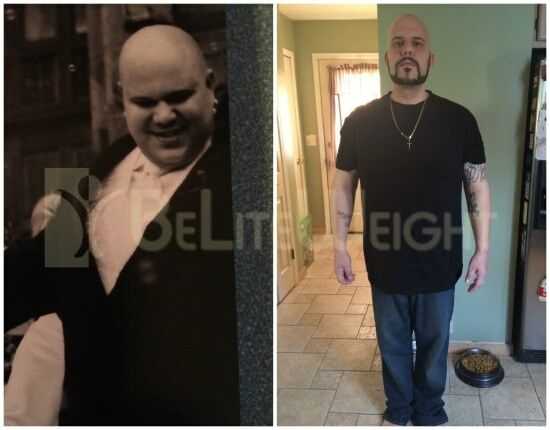 Hi my name is Joe and I wanted to share my experience with everyone because I can't be more grateful for everything BeLiteWeight has done for me. They are a godsend and they truly saved my life. I, like everyone else, googled weight loss surgery and came across BeLiteWeight. I was in desperate need of surgery because I was 330lbs and suffering from high blood pressure, diabetes, acid reflux, sleep apnea and severe snoring. I was at my wits and and desperate. I've tried every diet, gym routine, etc and nothing had worked. I contacted BeLiteWeight and got in touch with JoAnne. We discussed all the options and I chose Gastric Bypass. After all the paperwork etc, my date was set for July 18th. The time came and I arrived at El Paso airport and 10 min later I got a call from the taxi driver and he met me at the entrance and took me to the hospital. I checked in and after they did all the required tests and xrays I went into surgery. From the minute I woke up I was taken care of and the entire staff was excellent. I couldn't believe the care I received for the entire 3 day stay. I felt like I was at a resort not a hospital. Fast forward 5 short months and not only have I lost 116lbs*, which shocked my family, my doctors and of course myself, but my blood pressure is normal, I am no longer diabetic, no acid reflux, no sleep apnea and no more snoring. I am off all of my medications now and I feel like I am 18 years old again. So if you are in a similar situation I would highly reccomend you stop right here. This was literally one of the best experiences I have had and BeLiteWeight made it all possible. Thanks again to the entire BeLiteWeight team!